Jacob brings over 15 years of experience to the Capstone Headwaters investment banking team. 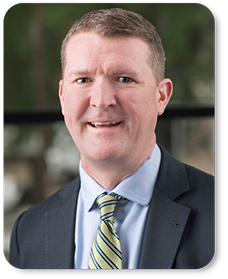 As one of the founding members of Capstone Partners, he helped build Capstone’s brand over the past decade until the merger with Headwaters MB in late 2017. Today, Jacob serves as the Head of Global M&A and is responsible for spearheading our international capabilities and coverage. Jacob has proved himself to be a talented deal maker with an unyielding commitment to his clients and has established himself and our firm as a leader in various industries including education and training, consumer products and business services sectors. He is a highly accomplished leader and serves as a strong mentor and role model to our developing professionals. Formerly, Jacob was with Andersen Corporate Finance LLC, where he focused his efforts on the software and direct marketing industries. He started his career in New York City with Rabobank International, a multi‐national Dutch investment bank in Utrecht, the Netherlands. While at Rabobank International, Jacob worked in the mergers and acquisitions group focusing on cross‐border transactions in South and Latin America in the consumer products, food & beverage industries. Additionally, Jacob founded Sophie’s Fund which provides college scholarships and financial support to homeless youth.